We are so excited to share the news! 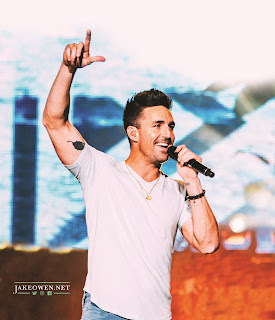 RSM US LLP, in conjunction with Davis Love Foundation, recently announced that American country music singer and songwriter, Jake Owen, will perform live in the Golden Isles during the 2017 RSM Classic in November. RSM sponsors The RSM Classic, an official PGA TOUR Event, which attracts some of the world’s most elite golfers. The Jake Owen concert is presented by Southeast Georgia Health System, and will take place Sat., Nov. 18 at McKinnon St. Simons Island Airport. Tickets can be purchased as part of the weekly ticket booklet or individually via the RSM Classic website. Individual Saturday golf/concert tickets are $50. All tickets feature “lawn seating”. Chairs and reserved seating are not provided. However, concert attendees are permitted to bring their own chairs. Please review the list of prohibited items before attending the concert. In golf news, this week the live action comes from Jersey City, NJ for the President’s Cup. While no Team RSM members are playing, Davis Love III, host of the RSM Classic, will serve as assistant captain for the U.S. team. We wish the very best to everyone this weekend! Check back next week for more updates on Team RSM, The RSM Classic and other golf-related news.